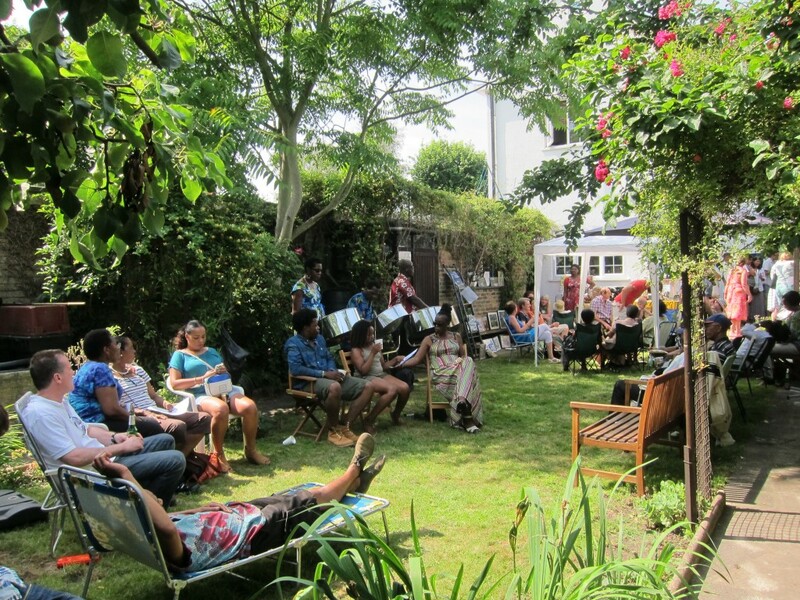 On 14th July 2013 people dedicated to “Making Poverty History through Education” enjoyed Waltham Forest’s Thuso in South Africa’s (WFTISA) annual fundraising garden party. The garden at the home of Gerard and Naima Omasta-Milsom in Walthamstow was bathed in sunshine. Some guests welcomed the opportunity to bask in the sun, while others sought shelter under gazebos. Adam and Ryan, Gerard and Naima’s children, welcomed the youngsters who came with the adults. They kindly shared their company, games and toys. Everyone was entertained by four members of a Steelpan band. The soft music they played complemented the pleasure of relaxing on a sunny day, in the garden, while helping to make “Poverty History through Education.” Guests enjoyed a sumptuous lunch provided by the trustees and supporters. WFTISA and its supporters share the view that “A Hungry Child Cannot Learn”. All the money raised at the Garden party will go to the food program at Thuto Lesedi Secondary School. The program provides lunch at school and food packs to take home. In 2013, about 600 youngsters will have lunch, and about 250 of them, will also get food packs. The food packs ensure that the most destitute have food after school, during week-ends and school holidays. The THUSO 2013 newsletter is availalble as a PDF download here.